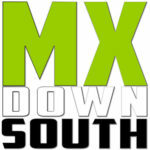 If you are coming to Vet MX Park here are a few thing you need to know about the track and the area. Using Google you can get directions from just about anywhere. Â The track is only about 2 miles off of I-22/78. Â Take exit 97 and head south on Fawn Grove Road, crossover highway 178 and continue until to you see the “10 Commandments” in the fork of the road. Â Turn right and the main track entrance is on the left. Â From here someone will guide you to the appropriate parking area for you. Â If you are in a large motorhome or have a very large trailer you may be asked to park in the area by the school entrance or in the motorhome lot. Â To enter the motor home home lot you will need to continue down Bankhead Road. Â A second track entry sign will be on the left. Â This road will take you to the motorhome lot. The nearest full service hospital is the North Mississippi Medical Center in Tupelo. Â There are multiple express care locations in Fulton and one in Mooreville, MS for riders or family members that may become ill during during the event. For those that are camping at the track Dorsey Foodmart is just 5 minutes from the track. Â DFM is a local grocery store and gas station. Â You can get just about anything you need here. Also less than 5 minutes from the track is Comer’s Restaurant. Â Comer’s is a family restaurant that features plate lunches at lunch and a menu with traditional southern foods. Â If you are in a rush you can always call in your order to 662-862-3846 ahead of time and pick it up. Â Some menu items are: Â hamburger steak, chicken strips (grilled or fried), hamburger, cheeseburger, ribeye steak sandwich, grilled chicken sandwich, fried fish (Wed-Sat Only), fries, home fries, curly fries, salad bar, shrimp, and more. The city of Fulton is less than 10 minutes from the track. Â Fulton has all the typical fast food options of most small towns, plus a Wal-Mart, Fred’s, Dollar General, Napa, O’Reilly’s, Autozone, and other local restaurants. Â There is also a very new Holiday Inn Express. Â Rooms were going for $80/night on Hotels.com the last time I looked. The city of Tupelo is about 15 minutes to the West. Â Tupelo is a town of 40,000 or so people. Â There are probably around 20 hotels in Tupelo. Â Most are rather new and have nice accommodations. Â You can get anything you want to in Tupelo. Â Tupelo is the closest town with any type of motorcycle parts, but most dealers in town don’t keep a lot of stuff in stock. Veterans MX consists of a mix of clay and sand. Â The dirt really ruts up great in the turns on race weekend. Â Expect some pretty nice braking bumps on the various hills and straightaways. Â The tracks has all kinds of jumps, its really fun for bikes of all sizes. Â There is a large 125′ quad and a huge roller that sits right in the middle of the track. Lakehill Trackside – Lakehill will be on site all weekend. Â They will be the official Dunlop dealer for the event. Â They keep 100% goggles and tear offs in stock, most fluids and cleaners, Cobra, Yamaha, and Honda parts. Â They will also have VP fuel on site for the event. Amsoil – Amsoil will have a support tent at the event to help out with any 2 or 4-stroke lubricants.